This level has medium difficulty. 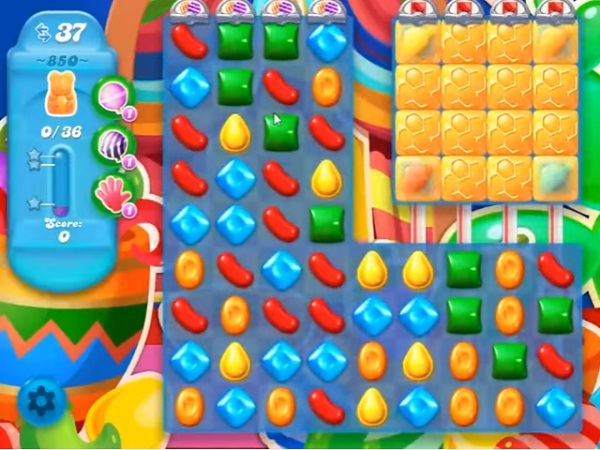 For this level try to play more from bottom part of the board to make special candy. Combine special candies with each other to break more blockers or corner honey to save the bears. Never thought I’d give up but I’ve pretty much had it with this one. Don’t suppose they care when people who aren’t paying quit. Better things to do than spend days on something stupid. Yep, I am really tired of playing this level. Definitely don’t get enough moves to complete this level. Seems like I’ve been on it forever and I am getting tired of trying to get all 36 bears.